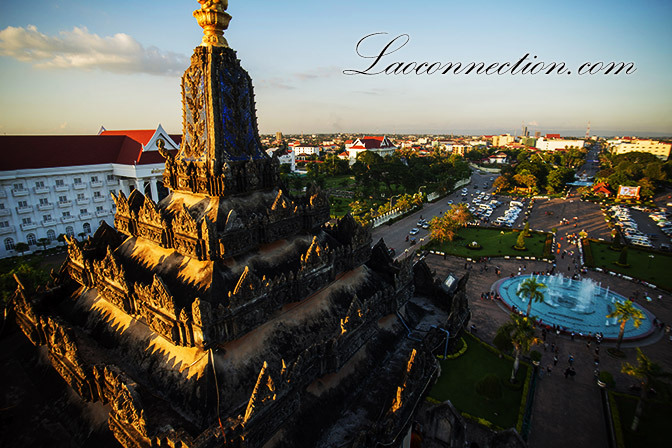 Many people have climbed the stairs to go to the top of the Patuxai Monument in Vientiane. Once there, you realize there's an even higher point though. Here's what it really looks like from the very tip of the top thanks to an aerial drone.